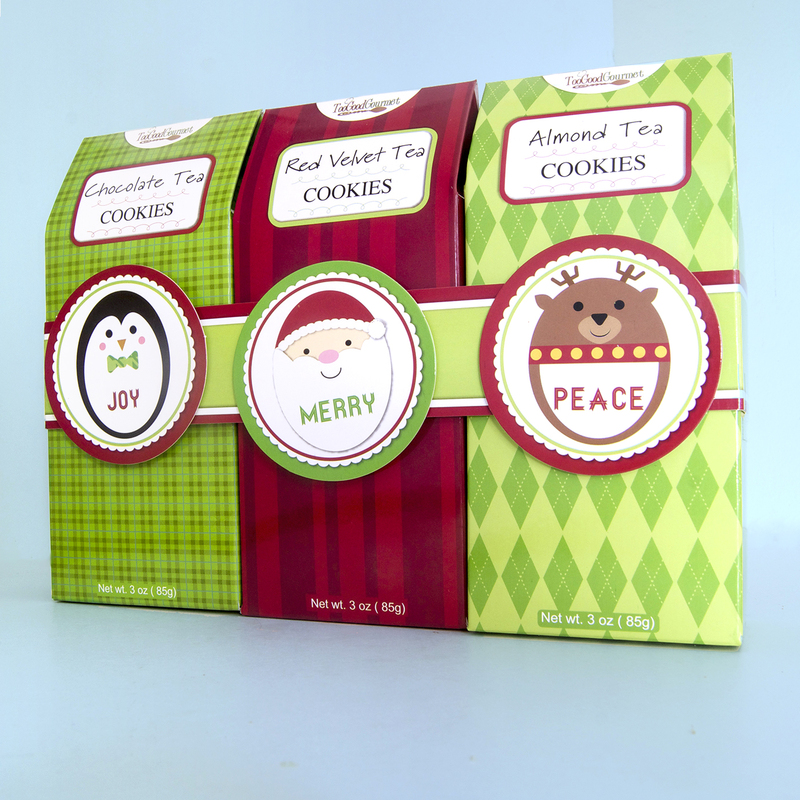 Too Good Gourmet Holiday line was experimenting with creating more variety packs for their line. 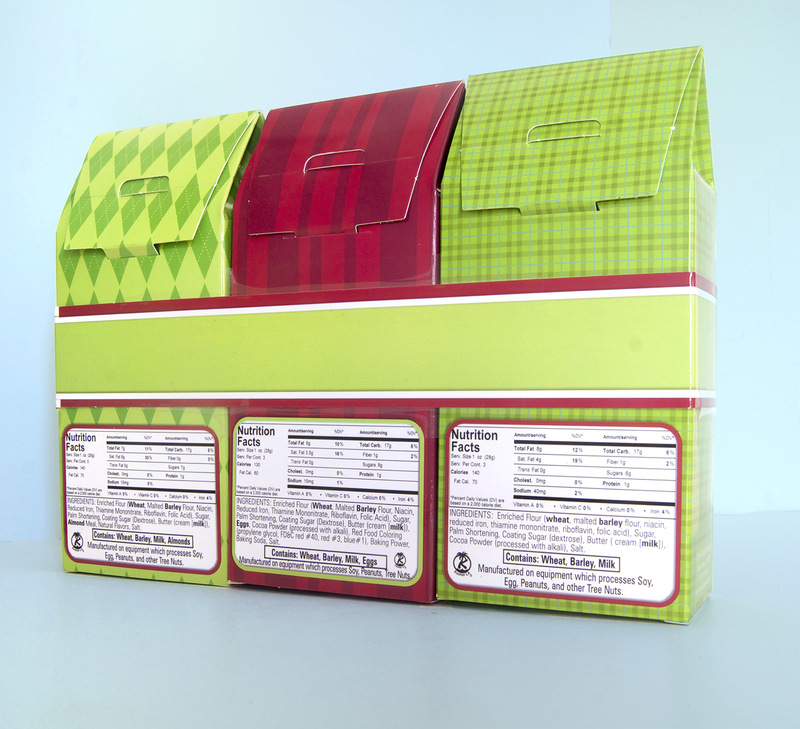 This challenge was to create a variety pack that would be able to hold together, easy to assemble and still cute enough to evoke the consumer. I helped lead a team to brainstorm the creation of the die line for the set. We then agreed cut out circles would be the best for the band. This is one of the few designs in which pencil and paper was not used. The shape for the “Joy” penguin was already pre-determined and the other two characters followed.